The association of words, « Cyprus » and « winter soup », sounds pretty odd. 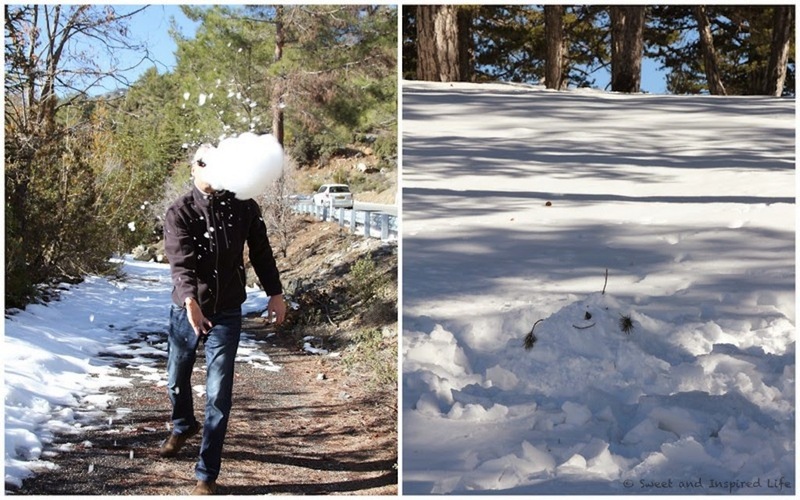 Winter in Cyprus, really ? What are you talking about ? I know I cannot talk about winter when the sky is outrageously blue, when the clouds are anecdotal or when the temperature does not drop below 15 C° at daytime. This is not an authentic winter in comparison with our icy-cold winters in Paris : freezing temperatures, short and dark days, frozen or snowy sidewalks, runny noses, steamy glasses, everybody hide under several layers of cloths and smokes mist… I never thought I would be missing those winters. So here we are, driving up to the Troodos mountains with a large smile and as excited as kids. Something funny and unique is to see the cars driving down, with a little snowman made on their windshields. « We are all kids » like Nati says ! Now that we have our winter, we can have our winter soup ! It is going to be a tomato soup. For this recipe, I sat back with my notebook and enjoyed the show : Nati demonstrating how to make a tomato soup. Of course, no soup can involved! 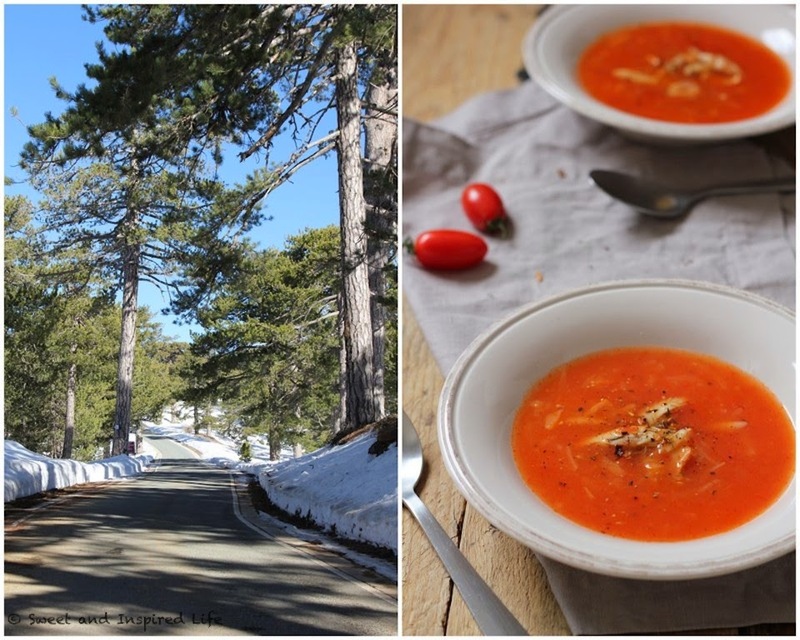 Needless to say, the snow melted long ago but as I was making this tomato soup a couple of days ago, I thought I would share this recipe with you… regardless of the outrageous blue sky, the absence of clouds and the 23 C° we are having those days… so boring ! Recipe by my husband Nati. Blend the tomatoes in half a liter of water. Put on medium heat a large pan with a dash of olive oil. When warm, add the oignons and garlic cloves. Stir with a wooden spoon for about 5 minutes until the oignons are lightly golden. Add the chicken including the bones for the flavour. Cover with 2/3 of the blended tomatoes. Season with salt, pepper and spice. Stir some more. Cover and simmer for about 10 minutes. Add a 1 liter of water, or less if the tomatoes are very juicy. Reduce the heat, stir and simmer another 15 minutes. Add the pasta. Stir and simmer for 5 minutes. Remove the bones of the chicken. Add the dairy cream. Season again. Divide between serving bowls. Add freshly chopped parsley, and serve! * Spice : BBQ Cajun Queen when Nati is cooking, french piment d’Espelette when I am.